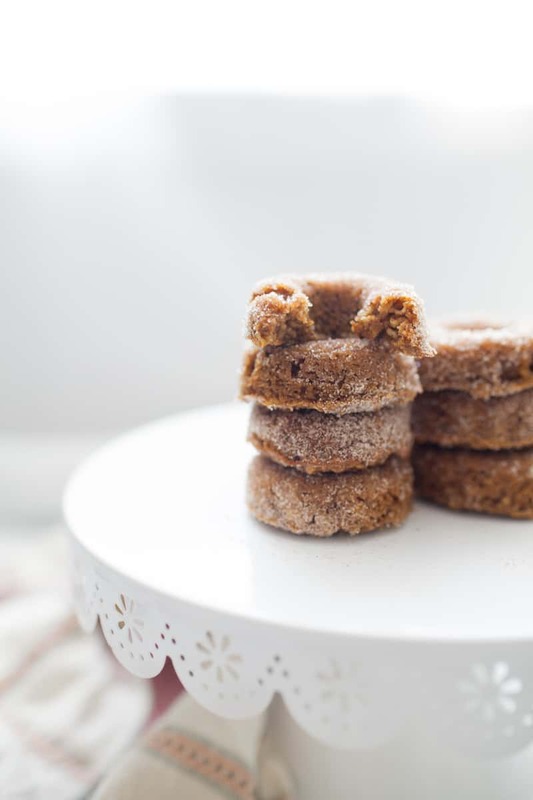 These Gluten Free Pumpkin Snickerdoodle Donuts are the perfect treat for fall, made with fall spices, sweetened with only maple syrup and a dash of cinnamon sugar on top! 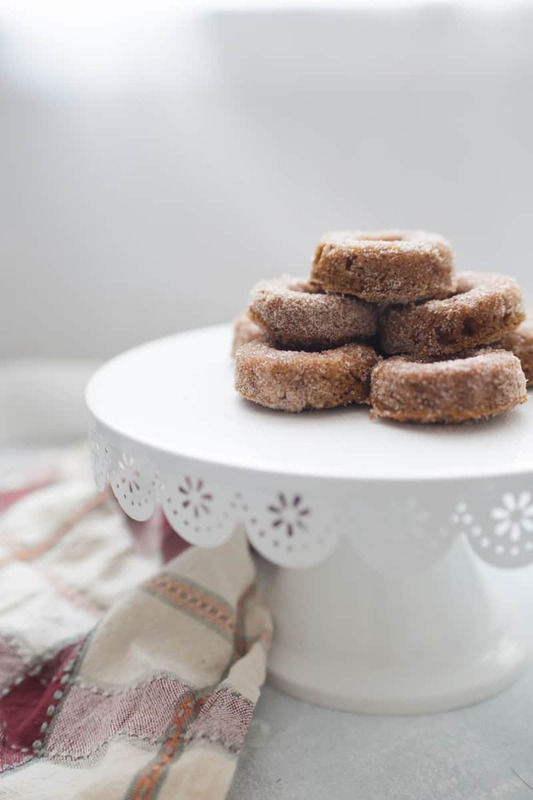 These donuts are so simple to make and would be perfect for any fall gathering! I’m joining with some other talented bloggers for #virtualpumpkinparty today! Be sure to check out all of the amazing pumpkin recipes over at Cake Over Steak. 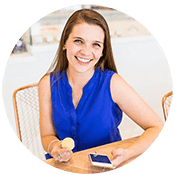 A few months ago I hosted Muffin Week where a group of talented bloggers all got together to share their favorite muffins. We had so many amazing ones like Peanut Butter Banana Muffins, Maple Bacon Corn Muffins and Blueberry Vanilla Almond Overnight Oatmeal Muffins. One of the recipes I did not get a chance to share was my recipe for Pumpkin Snickerdoodle Muffins. 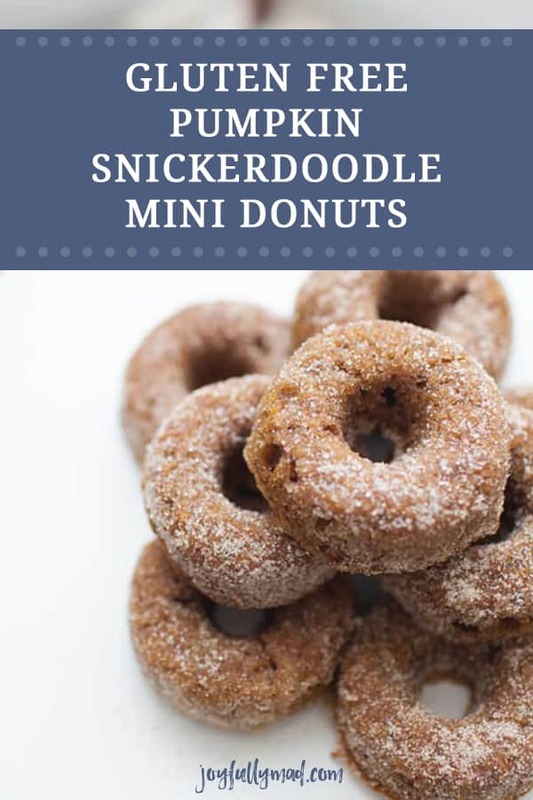 While working on that recipe, I worked on a few gluten free variations and during those experiments, I came up with this recipe for gluten free pumpkin snickerdoodle donuts. What I love about donuts is that they are way less complicated than you may think. I’ve found that most of the time the better that I will use for muffins can double as a batter for donuts too. 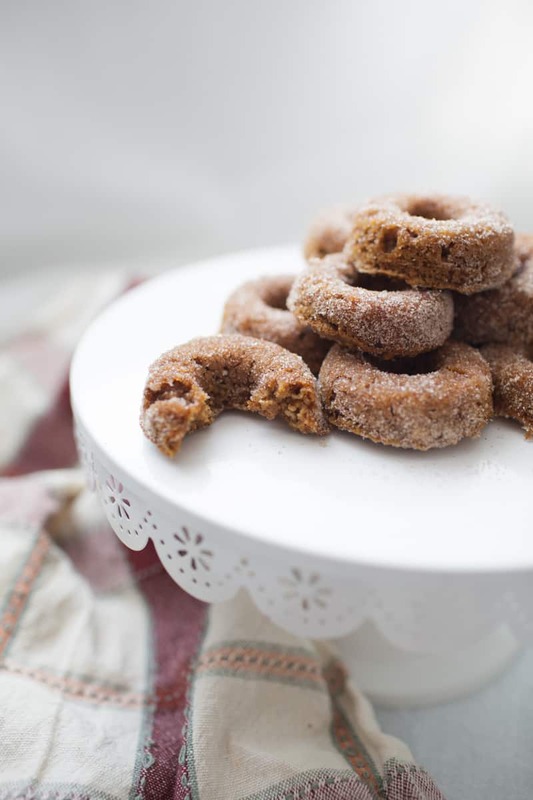 These pumpkin spice donuts are perfect for fall. They have all of the fall spices you know and love but without a ton of sugar like donuts usually have. In fact the donut batter itself has no refined sugar added! 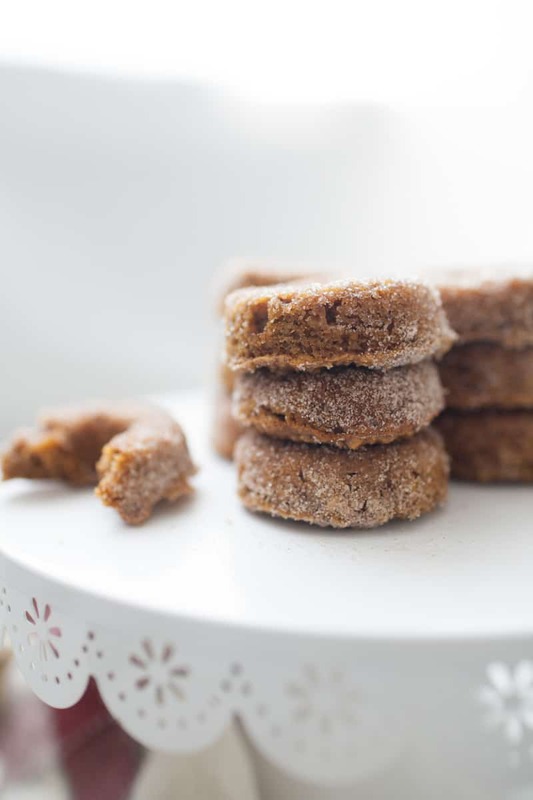 Of course, with these being pumpkin snickerdoodle donuts, they have a cinnamon sugar topping that snickerdoodles are famous for. 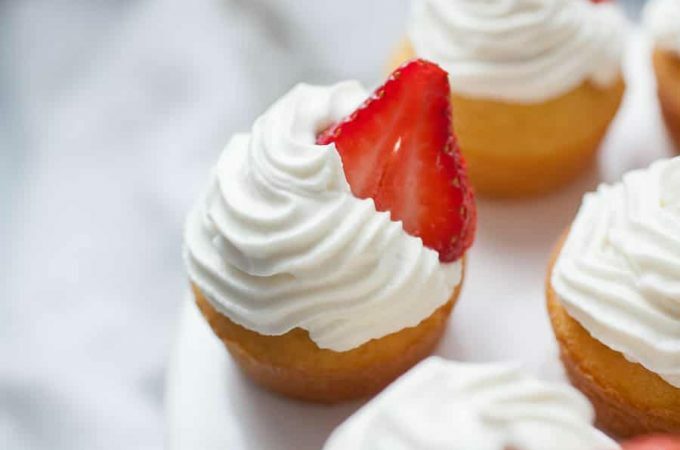 Without all the added sugar in the batter itself, this is a treat you can indulge in without the guilt. Top the pumpkin spice donuts with a homemade maple cream cheese frosting like the one used for this pumpkin sheet cake. Make full-size donuts or mini sized donuts depending on the occasion. In a food processor, grind oats until they are a grainy flour like consistency. Add in remaining ingredients and mix in food processor until ingredients are well combined. 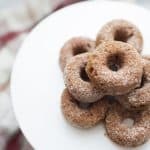 Pour batter into a mini donut pan and bake at 350° for 12 minutes or until donut batter bounces back gently when pressed. While the donuts are cooking make your cinnamon sugar mixture. Allow donuts to cool in pan for a few minutes, until you are able to handle them. While they are still warm, dunk each side in the cinnamon sugar mixture and place on wire pulling rack to finish cooling. Can I bake donuts instead of frying them? Baking donuts is so easy to do. You’ll simply need a donut pan, either a regular size donut pan or a mini donut pan. 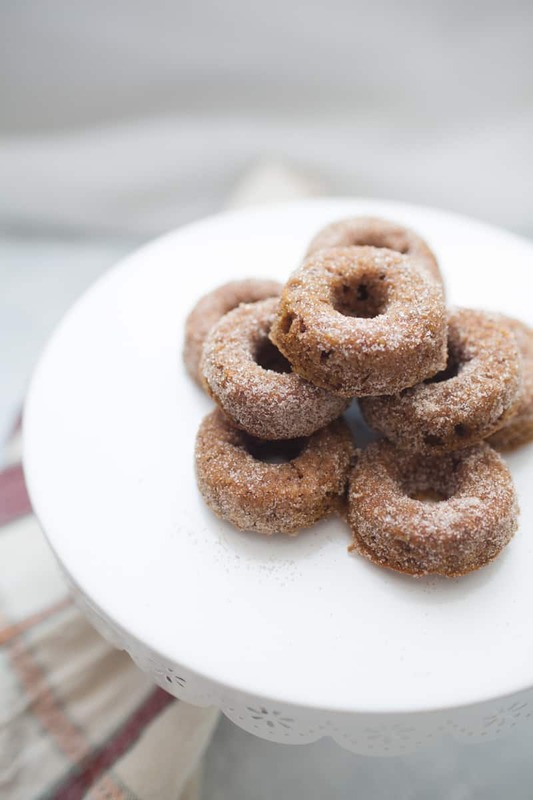 Baking donuts instead of frying them makes them a healthier version of classic baked pumpkin donuts and more like cake donuts (which are my favorite). How do you make healthy pumpkin donuts? 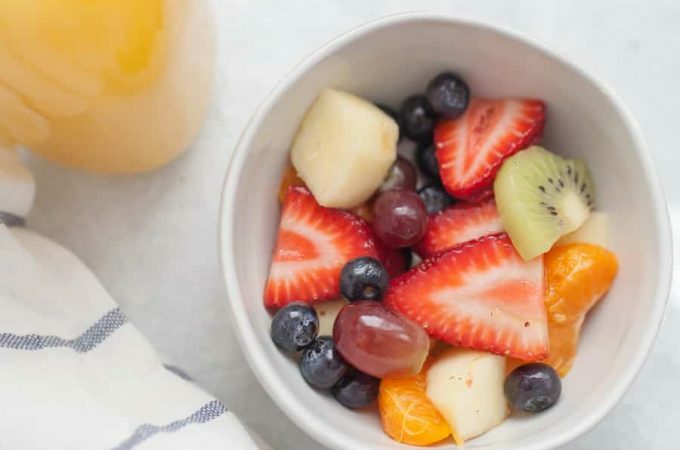 Start by making a batter without refined sugar! Then bake your pumpkin donuts, instead of frying them. How do you store homemade donuts? After you bake your donuts in a donut pan, allow them to cool on a wire cooling rack. Once they are fully cooled, store in an airtight container lined with paper towels, for up to four days. Double the batch and bring half to your neighbor. 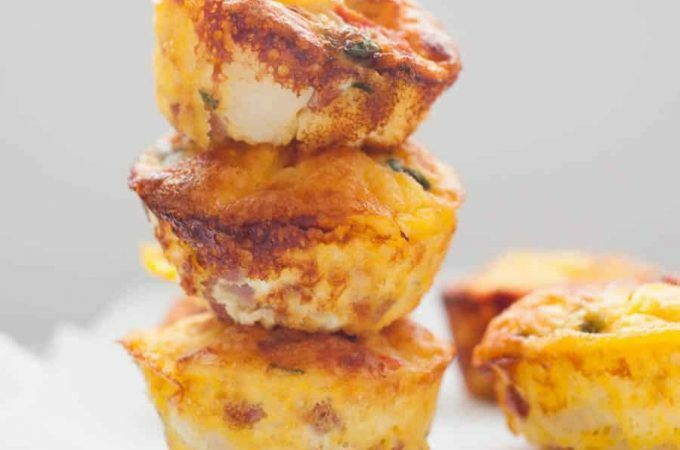 Make a batch for a new mama (she’ll thank you for the quick snack!). Make and take a set of these Pumpkin Snickerdoodle Muffins to a play date (leave off the cinnamon sugar for younger little ones, if desired). Text a friend and invite her over for a cup of coffee and mini donuts. Try serving these donuts with these recipes for a successful brunch! Preheat the oven to 350°. Grease a mini donut pan and set aside. While the donuts are cooking, mix together your cinnamon sugar mixture. While they are still warm, dunk each side in the cinnamon sugar mixture and place on wire cooling rack to finish cooling. Hi Madison! You and I are on the same page with the snickerdoodle flavors! 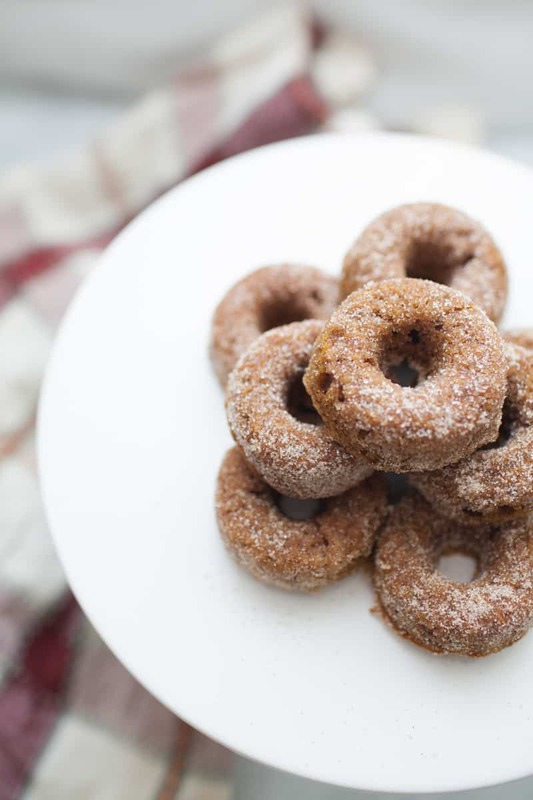 These pumpkin doughnuts sound delicious – using oat flour is a great way to infuse whole grains and add flavor to them! Can’t wait to try these and share with friends! Thanks Emily! Snickerdoodle is just the way to go in the fall, I think 😉 Thanks so much for the comment! My mini muffin pan was one of my best purchases ever, and now I have one more kind of donut to make in it! These are absolutely perfect for fall Madison. And the cinnamon sugar on top is a must for a little decadent treat! 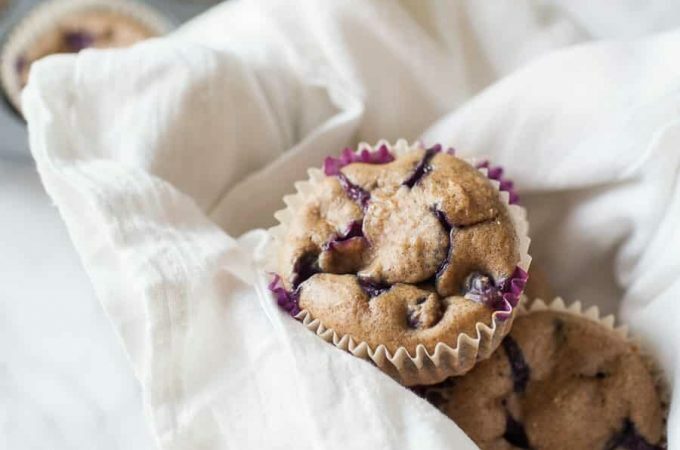 Enjoy the rest of your week, and thanks for the throw back to my blueberry muffins! Mine too! Sadly, I had a donut pan for MONTHS before I made my first set of donuts! Usually I’ll make half muffins and half donuts with pretty much any muffin batter recipe. Girl they are SO good. I need to make another batch and freeze some so I can have them anytime!